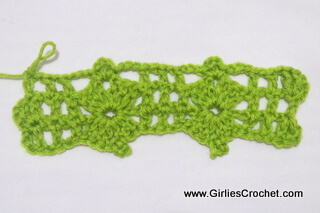 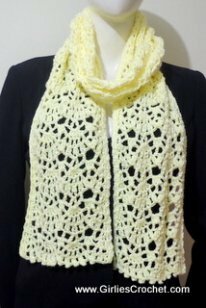 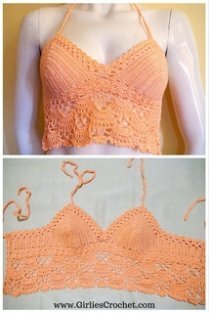 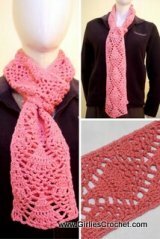 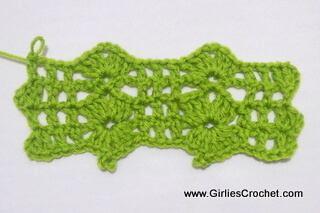 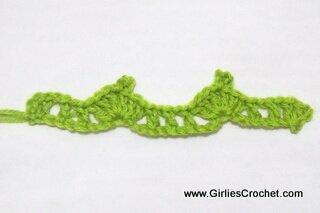 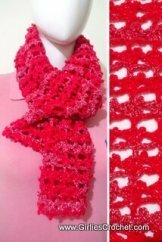 This is a free crochet pattern for Eunice Scarf with photo tutorial in each step. 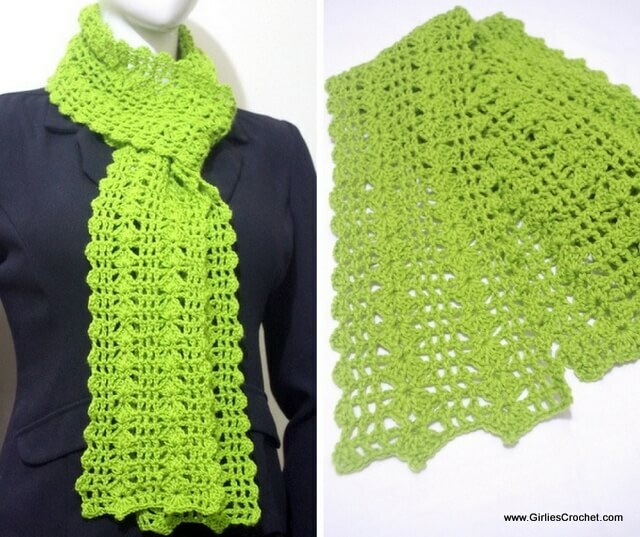 A bright and lively scarf just in time for St. Patrick's Day but will surely be a springtime favorite accessory. 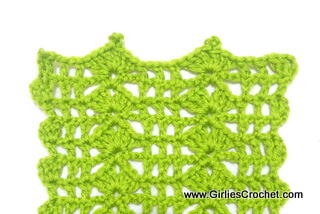 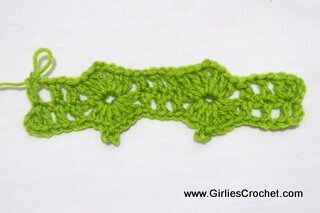 Pattern is start with the edging then turn, then crocheted up to the last row which will be the edging too. 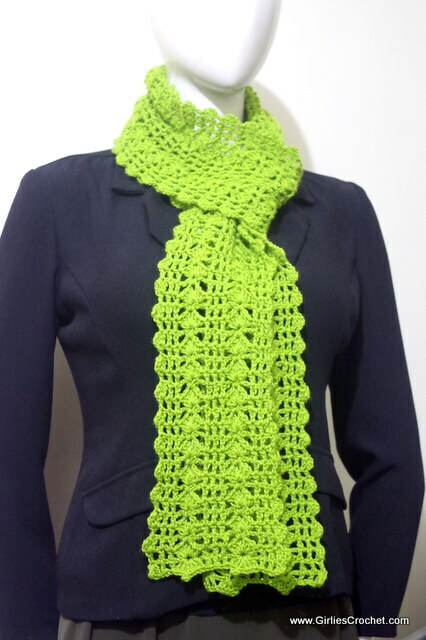 This Eunice Scarf crocheted in flat, back and forth, with 2 rows repeat. 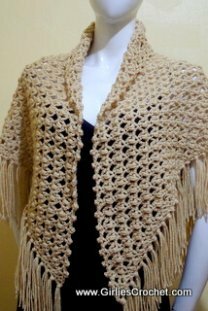 Row 1: Ch 32, 2 dc in 4th ch from hook, (ch 1, sk next ch, dc in next ch) twice, *sk next 3 ch, [3 dc, picot, ch 1, 3 dc] in next ch, sk next 3 ch, dc in next ch, rep ( ) twice, rep * once more, ch 3, sl st in the same ch. 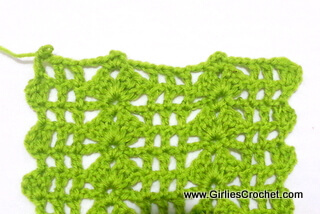 This side will be the edging of the other side of the scarf. 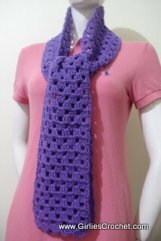 Row 2: Turn the scarf on the other side, ch 3, 2 dc in the same st, (ch 1, sk next ch sp, dc in next dc) twice, *sk next 3 ch sp, sh in next ch, sk next 3 ch sp, dc in next dc, rep ( ) twice, rep * once more. 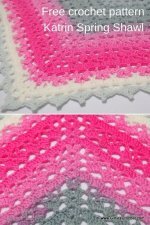 Row 3: Ch 3, turn, 2 dc in the same st, (ch 1, sk next ch sp, dc in next dc) twice, *ch 3, sk next 3 dc, (sc, ch3, sc) in next 2 ch sp, ch 3, sk next 3 dc, dc in next dc, rep ( ) twice, rep * once more. 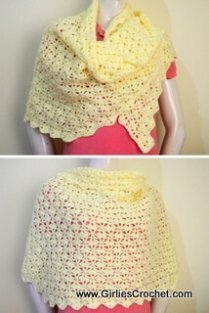 Row 4: Ch 3, 2 dc in the same st, (ch 1, sk next ch sp, dc in next dc) twice, *sk next 3 ch sp and sc, sh in next 3 ch sp, sk next sc and 3 ch sp, dc in next dc, rep ( ) twice, rep * once more. 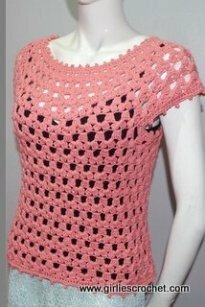 Row 168: Ch 3, 2 dc in the same st, (ch 1, sk next ch, dc in next ch) twice, *sk next 3 ch, [3 dc, picot, ch 1, 3 dc] in next ch, sk next 3 ch, dc in next ch, rep ( ) twice, rep * once more, dc in the same st.